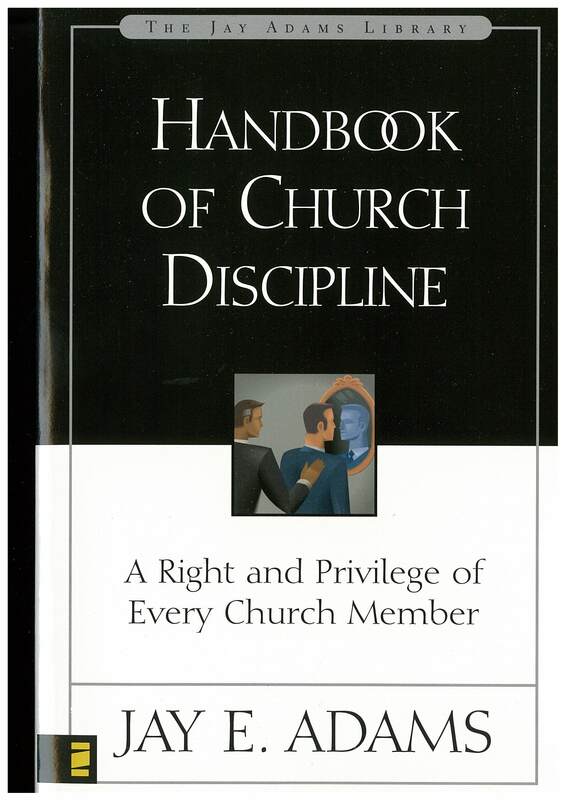 This is a handbook for pastors, elders, and all Christians who want to see how Scripture presents the process of discipline that should operate in the Christian community. It was written in response to an urgent need: “As I think of the homes that have been hopelessly broken, the estrangements that have permanently resulted, and the misery that has been unnecessarily caused by the failure of churches to practice church discipline, or to practice it biblically, my heart aches. Even more tragically, as I consider the ruins of many congregations torn by schismatic and fractious persons who have been allowed to wreck havoc with Christ’s flock, and the sickness of many others weakened by the infectious toxin of unrepentant sin that runs through congregational arteries, I am deeply moved.” In order to help church leaders deal with the sorts of problems that require the church to respond with discipline, the author has developed the book around the five steps of corrective discipline found especially in Matthew 18:15-17. Because there is not merely one kind or one stage of discipline, church leaders must learn how to discern. And once the right discernment has been made, then the right action can follow. This is a simple and very readable little handbook. the influence it can and should have on the church is, however, quite profound.